Employee motivation techniques are a great way to create excitement. Techniques can be cutting edge creative and new. Or you may just want to use techniques with a proven track record. Many leaders would like their employees to be willing to run through a wall for them. They would like to have employees who would be willing to do anything we ask. At the same time being highly productive and efficent. Now wake up from that dream! and have a cup of reallity. The reallity of it all is that hopefully your lucky to have a one or two employees that are like that. So here lies your problem of creating employee motivation in the workplace. 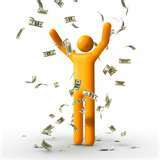 Many companies today do not use this employee motivation technique due to budget restrictions. This technique can create positive feedback both inside and outside the workplace. Give your employees small things like pencils, pens, or even coffee mugs. All with your companies logo on the them. You may even choose to do polo shirts, hats and jackets. With many great graphic software options your employees and company will standout. Surveys are used widely today by almost every company. Surveys are designed to provide feedback about any topic. Companies than use the feedback to discover problems and solutions. They may even shed light on possible new opportunities that were previously overlooked. Employee motivation techniques like surveys can be used in the determination of whether any barriers exist. Barriers can take the form of ethical issues and problems with co-workers just to name a few. It's critical to indentify these existing roadblocks and eliminate them for an easier motivating process. I have personally used this technique with a prior company. The survey here asked employees 10 questions about their management teams. They grade each manager on a scale of one to five. One being never and five being always. The areas of questioned covered topics like favoritism, respect, work ethic, following of policy, etc. The results were analyzed ad then ranked in order. The results of the survey were also used on end of year reviews. Here is another employee motivation technique that is quite effective. Spending a little time with each of your employees will go a long way. Dont just talk about work, try to find out what they like to do outside of work. These will be things you can talk about form time to time. Your employees will come to the conclusion that you actaully care about them. Leaders will also learn what makes each employee tick. These facts will help them run their business more effectively. The most important point here is that they will not feel just like a number. There is great acticle on this technique in detail and here is the link to "Manging One to One" from Inc magazaine. Employee recognition programs can be as big or small as you want. These programs are designed to motivate employees through awards. The problem with many of these recognition programs is that the awards are sub par. I have found employees to seek awards with more value. Not just a plaque on the wall. Set up an employee of the month program. Use awards like gift cards, days off, choice of shifts, etc, to really create excitement. Use traditional things like plaques and coffee mugs that say employee of the month. They will feel like you went out of your way for them. This may be one of the most important techniques. Having a pleasant workplace environment will help in motivating employees and increase performance. Having fun is also a great way to manage Stress. Here are some great team building ideas to try. Put together an impromptu wiffle ball tournament. Run this event during lunch breaks for example. If you really want turn some heads. Get your management team together and wash some cars. They might seem silly, but trust me they work! For more ideas check out this article on fun team building games. Bring together five or six key people like mid level leaders, Department Heads, etc. Then have that group elect one representative. This individual will meet with management to discuss issues and concerns of the employees. Leaders often will say they have an open door policy. But many employees will not believe this. This committee will allow leaders to maintain a calm workplace. So in short: leaders get a good work environment, committee members feel important, and employees have a way to vent. This employee motivation technique can be sometimes difficult to create. There are times when some employees just don't trust or like each other. As leaders sometimes we have to force the issue to build teamwork. Group employees into different groups for a variety of projects. Tie these projects together with a recognition program and make it an contest. Keep in mind that you should do something for the entire workplace no matter what the outcome. This will help you keep the peace. When it comes to human nature we all like to be appreciated. And in business this is no different. This employee motivation technique can be used daily and will be effective. 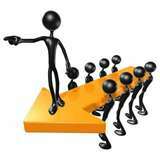 In the past leaders have used fear tatcics or other bad management practices. These ways just create an negative atmoshpere. In today's world there are so many negative things going on. So it is no surprise that it effects the workplace. As leaders we need to make an commitment to appreciating our employees. Don't just say "good job", go out of your way by buying coffee and donuts or lunch. Building trust and respect is hard engouh in life. In business it is just as tough if not harder. Workplace motivation will be non existent if there is not some level of trust and respect. There is no quick way to build trust and respect. It has to be built over time. We need to know if we can count on our employees. One way to start building trust is to give employees special projects with deadlines that are important. In order for leaders to earn respect they need to treat others with respect. If you would like someone to respect you keep this in mind. Every move you make like decisions and comments will be judged. Even the way you speak to customers and coworkers will be judged. This will be the basis for someone to decide whether or not torespect you. The most common purpose of cross training is for sevreral people to have knowledge of other coworkers jobs. This will solve coverage problems like days off and vacations. This technique is a great to way to create empoloyee motivation through out your comapnay. This employee motivation technique will benifit the employees by increasing skills learned, possible advancement and job security. These employee motivation techniques should give you a solid base to get started. We suggest that you pick two or three techniques that fit your comapany. In my opinion; the best and most effective technique you can use is positive reinforcement. Use this technique daily and you will be on you way to creating a positve workplace. Keep in mind that there are many others ways to motivate the workplace. 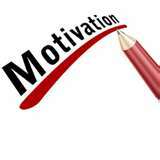 Check out the following article on the "Seven Stages of Motivaion In the Workplace".